After the brief discussion on the Basics of IaaS, PaaS, SaaS and IaaS separately; we will now give a look at Cloud Computing PaaS and SaaS. You might wounder why we are going to discuss PaaS and SaaS related to Cloud Computing together, the reason are various. PaaS is broader than IaaS, the target group is different than IaaS but PaaS and SaaS has some similarity between them. In Cloud Computing what PaaS Stands for and how it works? PaaS stands for Platform as a Service. The easy to understand example of PaaS in Cloud Computing is Google App Engine. 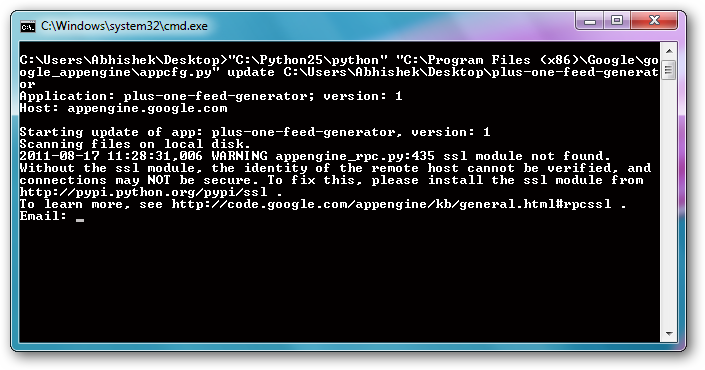 If you are not aware of what is Google App Engine; look at this webpage. This is an application interface, in common people’s terminology, an online app based on Cloud Computing that converts your Google Plus Posts to Atom Feed. This is an example of PaaS that is based on Cloud Computing. We simply developed an application used Google App Engine’s Cloud Computing Platform, which is actually a PaaS. We have not bought the needed hardwares. We have to pay as per the usage. Note: Technically this app on Cloud Computing is modified not developed, we are emphasizing the usage of PaaS and Cloud Computing as an example for clarification NOT that application or its source code. PaaS in Cloud Computing is important for the use of standardized interfaces, because many different platforms can be connected. Unlike SaaS, PaaS in Cloud Computing is providing an infrastructure to deploy the applications much easier and faster. The above example is an open to public application, we have private instances too : so, it offers a great flexibility. If we have not secured this particular app based on Cloud Computing, you could access any static file if you know the full url. For example, at another instance this file is accessible Click it to see. This file is on a test app : basically it is on Google’s Cloud Computing Platform, in other words, you can see as we are using a PaaS. What is SaaS in Cloud Computing and how it works? SaaS in Cloud computing stands for Software as a Service. You might be wondering, what is the difference between SaaS and PaaS in Cloud Computing? We basically shown an application in the above example of PaaS, right? SaaS is broader than PaaS. SaaS in Cloud Computing allows software applications are available as standardized service over the Internet. Google Docs is a free SaaS cloud computing application for end users. It is more complicated app than our app. Google Maps is another example of free SaaS cloud computing application. So, SaaS is for bigger, broader Cloud Computing. This Article Has Been Shared 9280 Times! This is very informative description regarding cloud computing architecture.Paas,Iaas,Saas are some layers in cloud computing through which cloud computing can be established safely.So as we are moving towards the technical world,cloud computing can be one of the mile stones in the growing technology trend. Cite this article as: Abhishek Ghosh, "Cloud Computing PaaS and SaaS," in The Customize Windows, August 17, 2011, April 19, 2019, https://thecustomizewindows.com/2011/08/cloud-computing-paas-and-saas/.